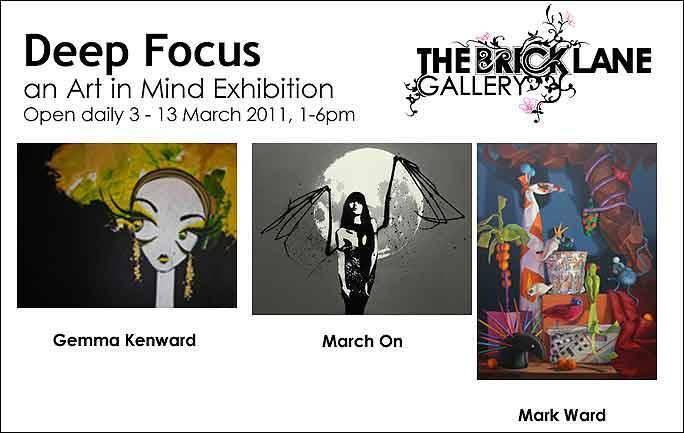 Deep Focus, the new show from Art In Mind, launches on the 2nd March with a drinks preview from 6pm. The exhibition, which spans both The Brick Lane Gallery and our new space, The Annexe, comprises of exciting new work from both UK and International artists. Running until 13th March we recommend you don’t miss your chance to view this stunning collection! The Brick Lane Gallery is pleased to announce the LAUNCH of our brand new gallery space on Sclater Street in east London , just round the corner from our existing gallery. The new space will run alongside the popular Brick Lane Gallery and both spaces are available to hire for solo and group exhibitions as well as student degree shows. We are currently accepting applications for gallery hire for 2011. Open 7 days a week with a dedicated sales team, this beautiful new space has created quite a buzz in the area already. Perfect for a week long hire, our experienced team can offer everything from promotion to curation and can host the openings giving the artist the unique opportunity for a stress-free, successful exhibition!